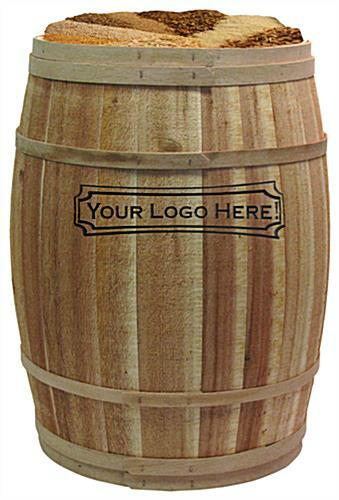 These custom stenciled dry goods display barrels make great bins for country stores with their rustic finish. 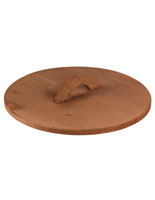 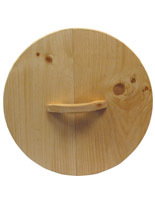 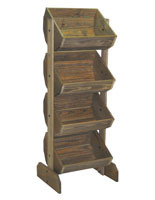 Each stand is made of durable cedar wood that's bound with oak staves for a durable, attractive design. 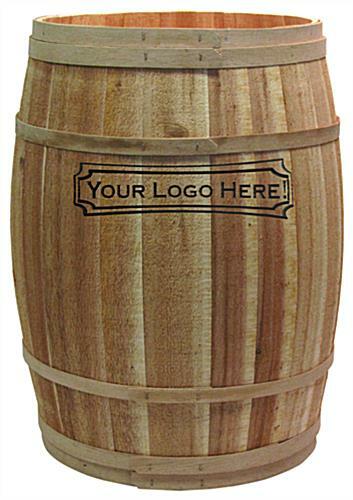 In addition, the dry goods display barrels come with a personalized text-only logo that measures 6" x 11". 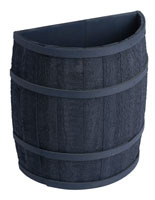 The oak and cedar bins are made by hand and are shipped fully assembled for immediate use. 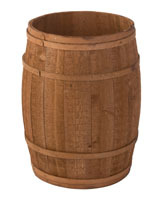 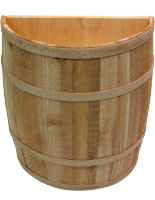 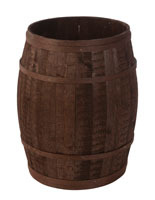 With these full size rustic display barrels, country store owners can fill the entire unit with merchandise. 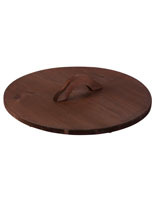 Sell toys, snacks, tools and more with these fixtures with natural finish wood construction and black ink lettering. 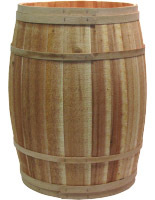 30.0" x 18.0" x 29.0"